At Ricky Tyler Landscapes, we have an experienced grounds maintenance team in the Potters Bar area to help with all your grounds and garden care needs. To keep your premises in good shape, we offer a wide range of services from fence repair and leaf clearance to moss control and tree work. Because we offer unrivalled security checks on all our operatives, our service is valued by Potters Bar schools and other organisations where peace of mind is important. These include care homes and other local authority run services. We also work with a large number of commercial organisations who rely on us to keep their grounds in good shape. 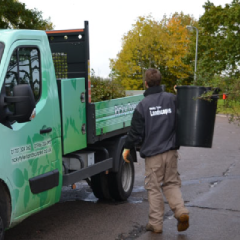 For many businesses in the Potters Bar, Hatfield and Edgeware areas, we are a cost-effective alternative to having to retain grounds keeping staff. Because we can offer a flexible solution tailored to your precise needs, our clients find using our grounds maintenance services is the most efficient way to manage their grounds. 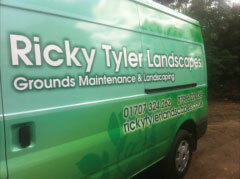 Working with Ricky Tyler Landscapes starts with a discussion about your needs. We're able to offer a range of packages, from weekly or fortnightly servicing to more seasonal visits to tackle specific problems. Because we bring our own top of the range tools and equipment, you won't have to invest in or maintain equipment such as lawn mowers or hedge trimmers. Our team offer 15 years of experience when it comes to grounds maintenance, so we can cope with even the most specialised needs. We can improve safety for anyone who visits your business or organisation by offering services such as gritting of services and track repair. We guarantee your premises will always look their best when our team's involved. If you're in the Potters Bar area, or further afield in Hatfield and Edgeware, give us a call to find out how we can help. Ricky Tyler Landscapes can provide gardening and grounds maintenance services including Potters Bar Grounds Maintenance covering Potters Bar, Hertfordshire .